At WellSpring, we recognize the foundational truth that nothings happens except through prayer! Therefore we have placed a high value on building teams of prayer warriors who can undergird the work that God is doing in us and through us. 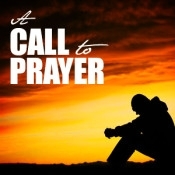 Preparation Prayer Time – at 9:30 a.m. in the sanctuary. Prior to our Sunday worship service anyone working at the church gathers with the pastor, staff, and worship team and we pray for the upcoming service to be glorifying to God, represent Christ, and be empowered by the Holy Spirit. Everyone is welcome to join us for this short but important prayer moment. The Garden of Gethsemane Prayer Time – During the 10:30 A.M. worship service At the center of our worship experience is a time for the fellowship to voice personal concerns, to lift up our missionaries, to pray for our community and our nation. The altar time is vitally important in setting the tone for true worship in Spirit and in Truth. The Lord has shown us the importance of our service being bathed in prayer during the entire service, so we have stationed one of our prayer team members in the prayer room to pray for God’s Spirit to be released during the service. Our Prayer Chain – If you have a need for a specific prayer, we have established a calling chain for you so that our prayer team can mobilize at a moments notice to pray for these special requests. Leading Corporate Prayers during the Worship Service – There are opportunities for those who feel comfortable and want to be a part of the corporate prayer life to lead the offering prayer and the prayer for the pastor during the morning worship. Prayer Teams for Healing and Wholeness – On special Sundays we are forming teams who will be available to pray with individuals for healing and wholeness. Evening Prayer Gathering – Each Sunday night at 6:00 p.m. we gather at the WellSpring Ministry Office (Lily Pad Place, 4848 Main Street, Millbrook…Suite C) to pray for the needs of individuals, families, the church, and the world. Everyone is invited to join us for this prayer time each week. There are so many other things to do and we are seeking prayer warriors to be ready to be trained and empowered to carry the weight of the people of WellSpring as well as the banner for the glory of God. During a preaching series on the Armor of God, WellSpring’s fellowship began praying a prayer together that gives us victory in times of trials and brings to mind as we pray the power God has to strengthen our lives in Him. We invite you to join us in praying this scripture as a basis for spiritual warfare in our lives.